This project, a top of funnel piece for companies just beginning to work on what policies to establish for their companies, was one of the most successful pieces of online content put out from Rocketrip during my time there. 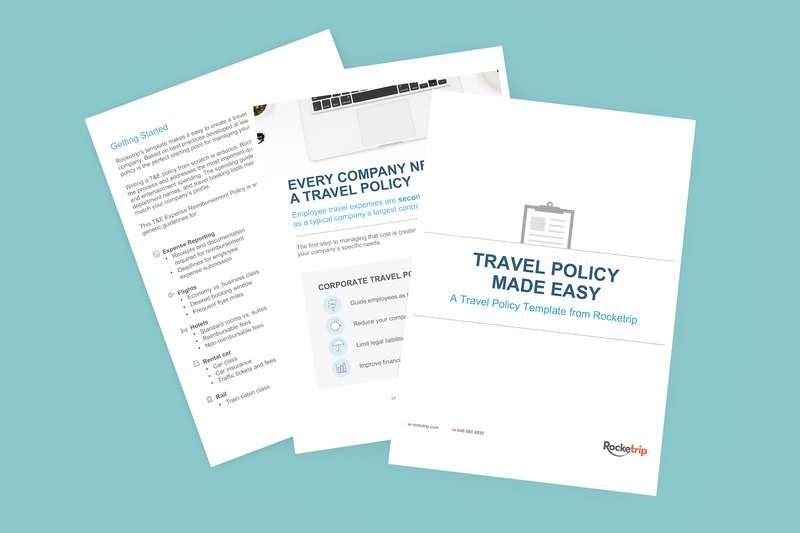 Rocketrip’s travel policy template was created as a downloadable Microsoft Word document. As a Word document, it can be edited by any user with access to word processing programs, so we made efforts to test it rigorously and use only system fonts and styles.